A killer confronted 14-year-old Liberty German and 13-year-old Abigail Williams while they were walking near the Monon High Bridge on Feb. 13, 2017. That killer is still out there. 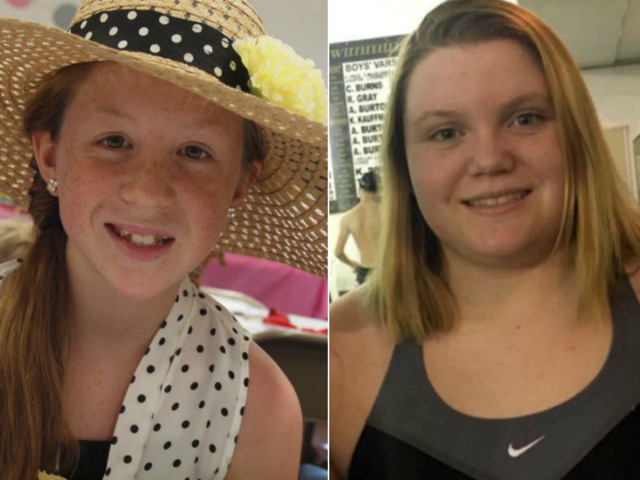 DELPHI — The deaths of two teenage girls still haunt the city of Delphi, the state of Indiana and the country nearly two years after their murders. A killer confronted Liberty German, 14, and Abigail Williams, 13, while they were walking near the Monon High Bridge on Feb. 13, 2017. It was an investigation that nobody ever thought would go this long, especially those leading the investigation. "(We) thought we were going to get the clues that we needed and be done with this in four or five days," ISP Detective Jerry Holeman said. Holeman is the lead investigator on the Delphi case. Two years later, a task force made up of state police, FBI and the Carroll County Sheriff’s Office continues to follow up on every tip they receive. "We realized that this is a totally different type of investigation," Holeman said. Even though it's been two years, investigators all agree on one thing — this is not a cold case. "It's not a cold case until we have investigated every lead and tip that we have," Holeman said. "You have to stop having information. You have to have no more investigative leads. You have to have exhausted all efforts. We're not even close to that." Carroll County Sheriff Tobe Leazenby said they have received tips from nearly every state in the country and they aren't out of leads yet. Another thing they all agree on — they won't quit investigating until Libby and Abby's killer is caught. "You know we're all frustrated and we do have our days," Holeman said. "But, at the end of the day, you have to put all that aside and say, 'why are we here?' We're here to find out who's responsible for this heinous crime. We're here to get justice for Abby and Libby. And that's what keeps us going." Monday, Feb. 13, 2017 was an unseasonably warm day in Delphi. Liberty German and Abigail Williams decided to use the day off school to take a trip down to the trails near the Monon High Bridge and take some photographs. A family member dropped the girls off that afternoon with a plan to pick them up a few hours later. When that pickup time arrived, the girls were nowhere to be found. Calls to Libby’s cell phone went unanswered and eventually straight to voicemail. First, the family began to search, hoping the girls had just wandered out of cell phone range. When they couldn’t find them later that afternoon, family members contacted the sheriff’s department for help. Sheriff Leazenby told RTV6 that evening that they had no reason to believe the girls were in danger. At the time, crews thought the girls had simply gotten lost on the trails and were unable to find their way back. Throughout the evening dozens of volunteers joined the search for the girls, which focused around the area where Libby had snapped a photo of Abby on the bridge earlier that day. The search for Libby and Abby was suspended around midnight, although some family and friends did continue overnight, hoping the girls had holed up somewhere as the night got colder. The next morning they would find out how wrong they were. The search for Libby and Abby resumed on Valentine’s Day morning, Feb. 14, 2017. Crews widened their search as soon as the sun came up, wandering further from the abandoned railroad tracks. It wasn’t long before they made a gruesome discovery. The bodies of Libby and Abby were found on the back end of a private piece of property less than a mile from where they were dropped off the day before. In just the first three months following Libby and Abby’s murders, investigators received more than 16,000 tips and interviewed over 500 different people in connection with the crime. A few search warrants were served, including one to the man whose property the girls were found on, but no arrests were made, and no person of interest was identified from that search. In the two years since Libby and Abby were murdered, the evidence released to the public has remained minimal but crucial. The key evidence in the case has been video taken by Libby, likely in the moments before her death. Libby was heralded a “hero” by state police for having the presence of mind to begin recording. Investigators have released an image from that video that shows a man behind the girls on the bridge, an audio recording of a man, presumably the same one, saying “down the hill” and a sketch from possible witnesses in the area the day the girls were murdered. Police released the image on Feb. 15. The image, shared below, depicts a white man wearing blue jeans, a blue coat/jacket and a hoodie. Days later, police officially named that man a “person of interest” in the murders. He has never been identified. A brief audio clip, which police say is just a small portion of what they have from Libby’s phone, was released on Feb. 22. The audio is of a man’s voice saying “down the hill” was seconds long and was released free of video. Police have only said that the video it came from captured the man telling the girls to go “down the hill” during possible “criminal activity.” They have never elaborated further on that description. You can listen to that clip below. The full video from Libby’s phone has never been released. Five months into the investigation, Indiana State Police released a sketch and description of a suspect. 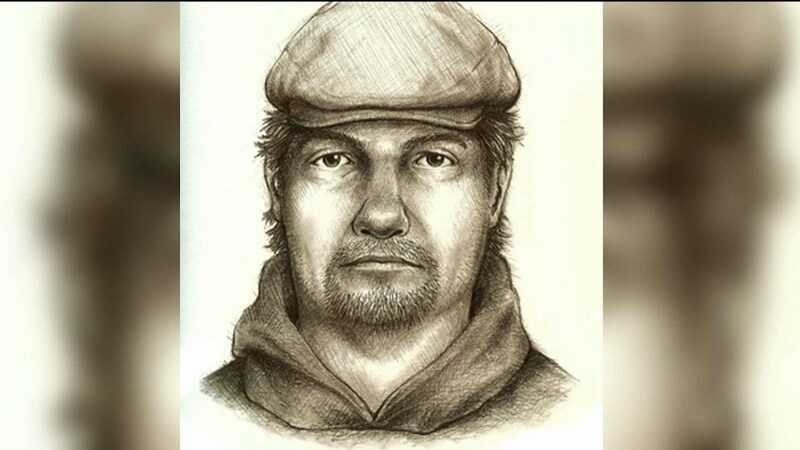 The composite sketch was created after police said they received new information from witnesses who were in the area at the time Libby and Abby went missing. 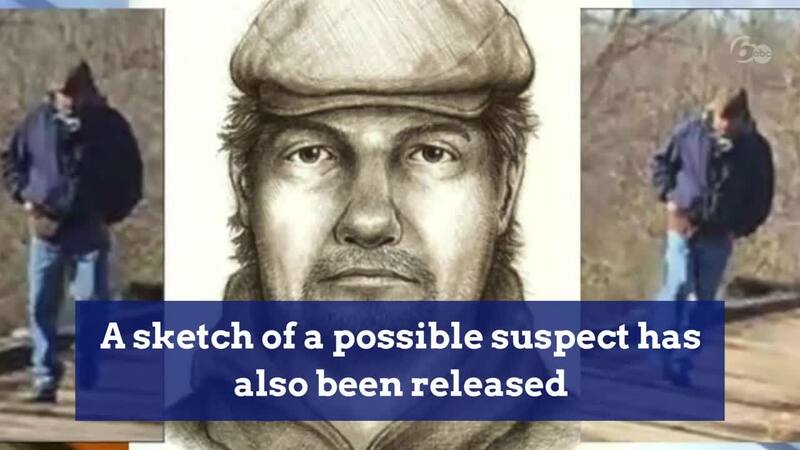 The suspect was described as a white man between 5-feet 6-inches tall and 6-feet 10-inches tall, weighing 180 to 220 pounds with reddish brown hair and an unknown eye color. In the sketch, shown below, detectives say the man’s hat was changed to make his facial features more recognizable. After two years, many people believe it's time for investigators to release more evidence. Holeman says they carefully chose the pieces released to the public, both because they felt they would help identify the suspect and because they needed to keep enough evidence back so that when they find the suspect they won't have any doubts. "We know the photo was kind of grainy and not the best, and we know the voices — not the best audio — but that's what we have and we feel like that is enough for us, for the public to help us identify who that is," he said. Libby and Abby's deaths quickly became an unsolved mystery thrust into the national spotlight. While police continue their search for the girls' killer, people across the country have been coming up with their own theories about who is responsible. Investigators say they know those people mean well, but their speculations, rumors and comparisons can actually do more to hinder the investigation than to help it. In the past 24 months, only one person of interest has ever been named. But during the one-year press conference marking the Delphi murders , state police said Daniel Nations was "not someone we care a whole lot about at this moment in time." Since then, no new information has come forward. Investigators say they have received more than 38,000 tips to the hotline. The reward for information into the murders is still more than $200,000. 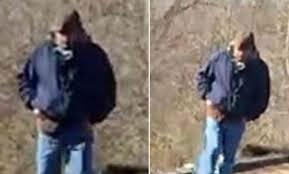 Indiana State Police released a photo of a suspect, which was taken by Liberty on her cell phone the day that she died. She also captured a man’s voice saying, “down the hill” during what police call “criminal activity.” You can listen to that recording and see the photo below along with a sketch later released by Indiana State Police. Indiana State Police ask anyone who recognizes that man or the voice, or who may have any other information about Libby or Abby’s murders to call the Tip Line at 844- 459-5786 or 800-225-5324. Tips can also be emailed to AbbyandLibbyTip@cacoshrf.com.